Juicing recipes for weight loss – is it really working? Easy vegan diet plan for weight loss – are you ready to follow? I’m pretty, pretty sure that many of you have a blender because a blender is an indispensable appliance in any kitchen, or at least it should be. For me, the blender is one of the most useful appliances in my kitchen offering many advantages from making smoothies to preparing deserts. One of the advantages is that the blender offers the opportunity to prepare various things quickly. If you check on the market, there are countless models but if you want to buy, do you know how to choose a blender? No worries, I will give you all the advice in the today’s article, and by the end of this article you will have all the necessary information, and you will be ready to buy the perfect blender. A bit of history first, what do you think? In 1919, Stephen J. Poplawski began designing drink mixers which were patented in 1922. The working principle stays unchanged until our days: an ingredient bowl with a detachable bottom on which metal blades are mounted which revolves very quickly to mix food. If you check the new models, the design is different from company to company, but the operating principle is the same. Considering that most models are extremely affordable, it’s hard not to justify buying a blender. 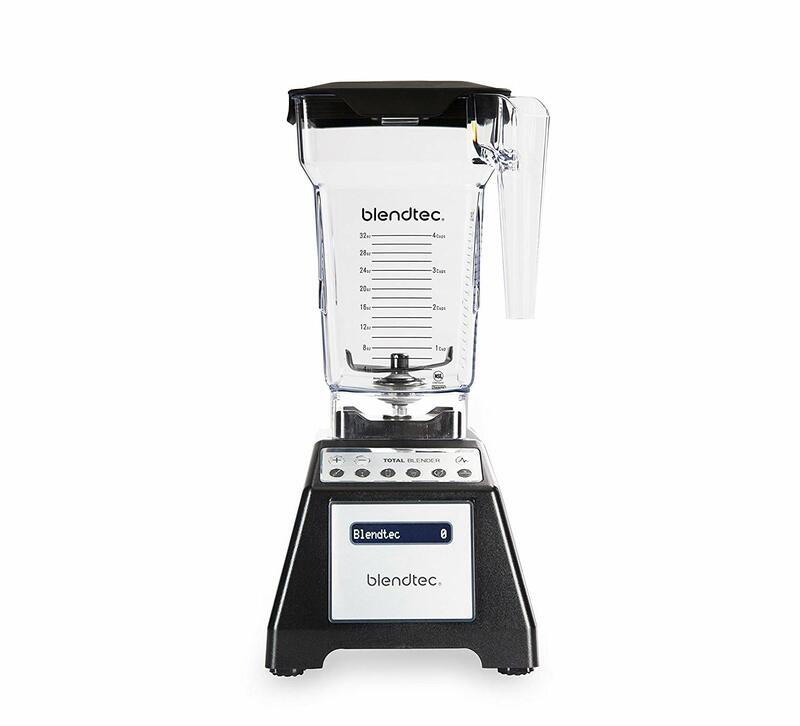 But not all blenders are built the same way, so let’s see what the differences are and what you need to know when you’re looking to buy one. Now let’s see what would be the most important features of a blender when looking for the ideal model in one of the online stores. 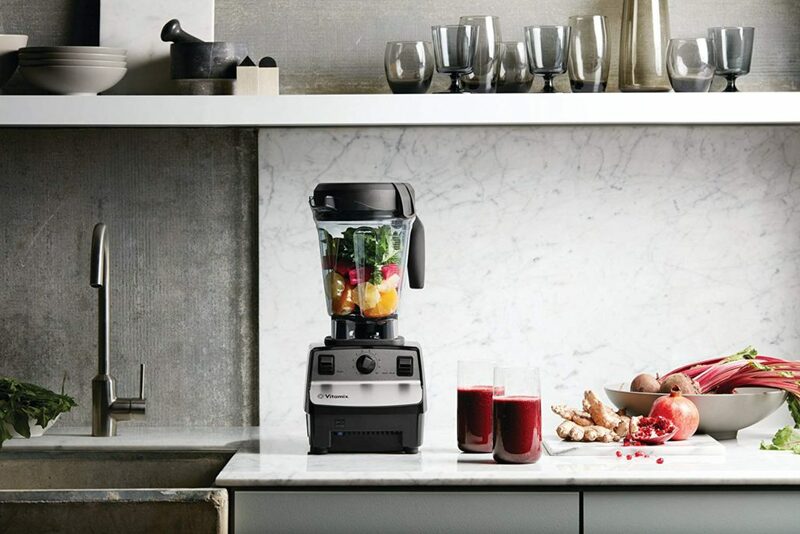 Power – even if the expectations for many buyers when it comes to blenders is that it is able to mix, pass and liquefy any type of food, the practice will disappoint inexperienced buyers, because the engine power has the greatest influence on the ingredients you can prepare. The higher the blender power, the better the texture of the product will be smoother and creamy. Models around 300 watts will be able to mix and cut most food types, up to 700 watts can be used for fine smoothies, but have patience with it, don’t force it. The with less power have short usage, between 2 and 4 years, but the models over 1000 watts have a lifetime of 10-15 years and will serve you very well. I have a model with 1200 watts, I will detail a bit down in the article. Bowl capacity – a feature often ignored, the capacity of the bowl determines how many ingredients you can prepare at one time. The most popular models are designed with a bowl for two people of between 1 and 1.5 liters, for me, it’s enough the capacity as I’m the only one preparing the food in the blender. The gears – the more speeds that can be selected by the user, the better you can prepare several types of ingredients, or you can optimize the speed at first when the ingredients are not yet chopped at the half process, and finally when you want to move everything very fine. Find a Pulse and Turbo mode that makes the blender engine spin at full speed. Optionally, the Soft Start mode is also useful, which starts the blender’s engine slowly so as not to scatter the ingredients at start-up and ensure more efficient mixing at the end. Predefined work programs – if you do not want to get confused too much with your work speed selection, you can choose a blender with programs already preset by the manufacturer. Among the most popular are ice crushing, container heating, mixing of frozen or very dense ingredients, smoothie program, soups, sauces, cold desserts or crushing. Plastic or glass bowl – the choice here is very easy: go on a glass bottle model because it is scratch-resistant and easier to clean. Plastic and its variants scratch lightly, so they become unsightly, harder to clean and can keep odor from the ingredients previously used. On the other hand, they are usually cheaper. Nowadays, the BPA free models are available, so you should consider this aspect as well. Stainless steel knife – the most resistant type of metal used in the cutting /crunching/slicing knife blades is stainless steel, so anything else should not be taken into account. Interchangeable knives and heads – For maximum versatility and optimum results, you need a blender with as many types of blades (the S-shaped, star-shaped and foaming-like blades are popular). Ergonomic control panel – another thing that many people do not think is the blender control panel. The physical buttons are intuitive and easy to use, but a touchpad without physical buttons is easier to clean with a damp cloth. Base and sealing cap with graduated dispenser – do not want to hold the lid by the handle while running, so head for a pattern with the base and tight seal. In particular, the removable base of the bowl must be well fixed to prevent spillage and accidental detachment during use. Many caps are fitted with a hole provided with a plastic stopper (which should be graduated). 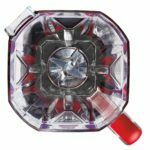 Through that hole, you can add ingredients easily without stopping and removing the blender lid or pushing the ingredients onto the cutting blade with a mixing tool. Gradual – a graduated bowl that mixes the ingredients will help you get the right quantities to get the food as close as possible to the recipe you are preparing. Tube for separating juice pulp – if you want to use the blender to squeeze fruit, look for a tube model by inserting the fruit directly over the cutting blades. If the tube is equipped with a very fine sieve, if you don’t like the pulp, you can separate the pulp from the rest of the juice. In my case, the blender and juicer are two separated pieces. I love cold-pressed juices, and the blenders juicer combo is not the ideal solution for me. 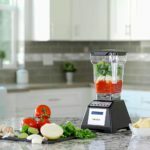 The metal base with rubber suction cups – a solid metal base means a well-built blender that will last well in time and will be even harder to accidentally dislocate during operation, even at maximum engine speed. A pair of plastic suction cups can also greatly help fix the appliance on the kitchen countertop. 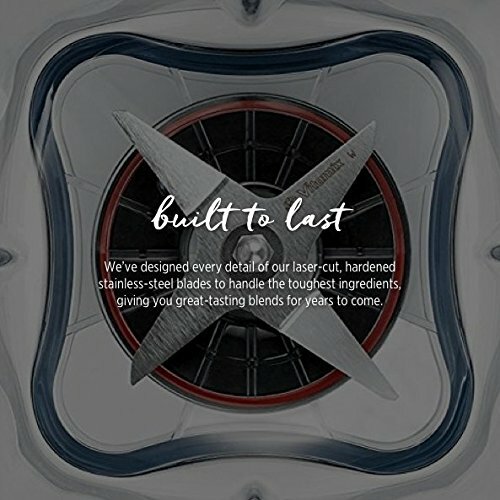 Mixer – you’ve chosen the strongest blender model by no means to cram the ingredients in the bottom of the bowl to be processed by the cutter blades. For this reason, many models come with a mixing tool, a kind of closed plastic cylinder with which the ingredients can be safely pushed through the hole in the bowl lid. The length of this tool is carefully calculated by the manufacturer so that it can not reach the steel blades turning at several thousand revolutions per minute, so if you have to buy this accessory yourself be very careful about its length and diameter. Juice Dispenser – Some models also come with a small tap fitted outside the cooking bowl, which you can open to pour juice directly into a cup or glass, without removing the blender dish. It is a useful accessory only if you prepare a lot of natural juices. Easy cleaning – Since the blender has several detachable parts, the harder it will be to dismantle, clean, and refit it. In this case, focus on a model that can be easily cleaned in a dishwasher. The length of the power cord – a cable too long and you will stop it in the kitchen, too short and you will limit your installation options. So choose a blender with a suitable length cable and storage space when not in use. Protectors for knives when not in use – Cutting knives are usually very sharp, so to prevent unwanted accidents it is good to cover them with the protections offered by the producer (if applicable) or placed in a place where children I cannot get it easily. Accessories – here you should look for a recipe book (although there are many free resources available on the Internet), a mini bottle of glass or plastic for storing the prepared juices in the refrigerator or a spatula for mixing prepared meals before serving. These are the most important features of a blender you need to know before choosing one. Maybe it seems easy at a first look, but now I think you understand why there are very expensive blenders. Fortunately, it’s enough to choose a model from your favorite buyers, and you’ll be happy in most cases, so you do not have to invest so much money for a decent blender. Based on the criteria outlined above, I can recommend some blenders that will handle any preparation and offer the best value for money. Some mentioned models I have used and I will also share with you the model which I currently use. 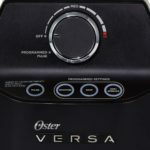 The model has variable speed control and the useful pulse feature. The blade placed in the bowl will create turbulence and mix the ingredients most efficiently. 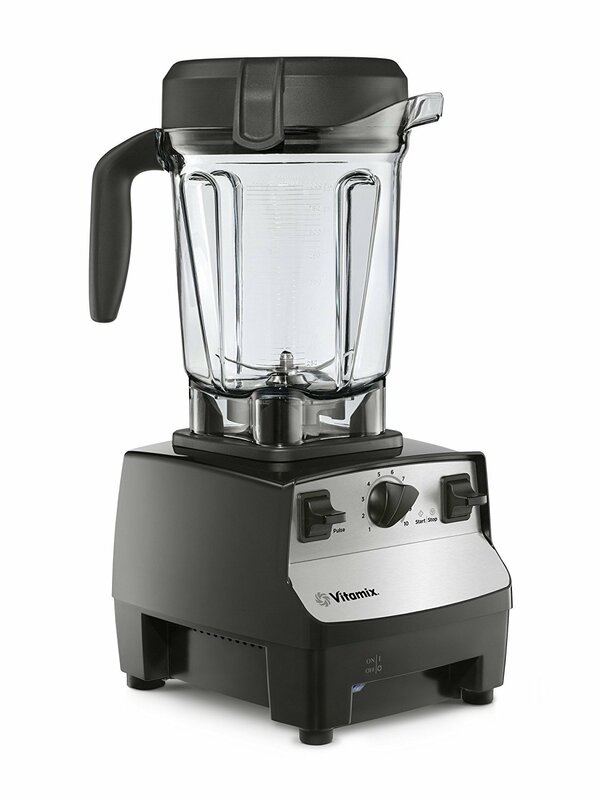 The Vitamix blender has a powerful 2.2HP motor for efficient mixing and crushing. The 2-liter low-profile container is made for perfect fitting in the kitchen cabinets. It is made of plastic and allows processing of hot ingredients, frozen desserts and grind nuts. 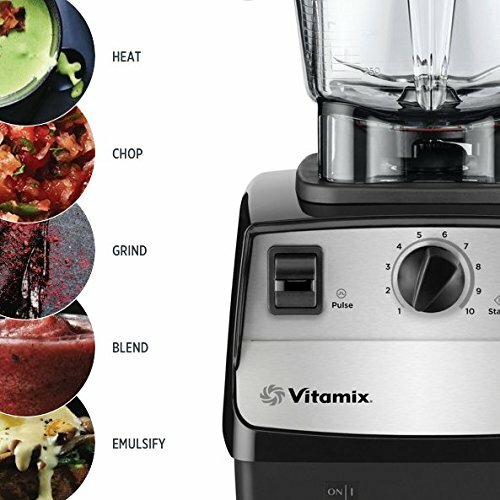 The Vitamix comes with a tamper which it’s really handy when pushing down the food without stopping the blender. 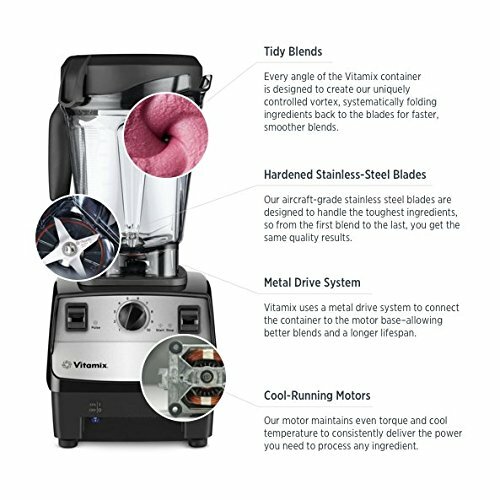 The Vitamix 5300 has 5 years full warranty. 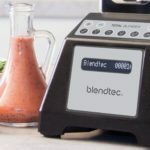 The Blendtec blender has 6 pre-programmed cycles (hot soup, ice crush, ice cream, whole juice, smoothies, and batters) 10-speed and Pulse function. The model includes a BPA-free FourSide jar for smaller quantities, and it can grind and make hot soups. The model is suited for making smoothies, shakes, dips, dressings, etc. The model has 8 years comprehensive warranty. The blender has a 1400 watt motor, a 1.8L container made of BPA-free material. You can prepare soups, dips, and desserts with the three program available settings and adjust the speed as needed. The Pulse function is available for control over consistency. 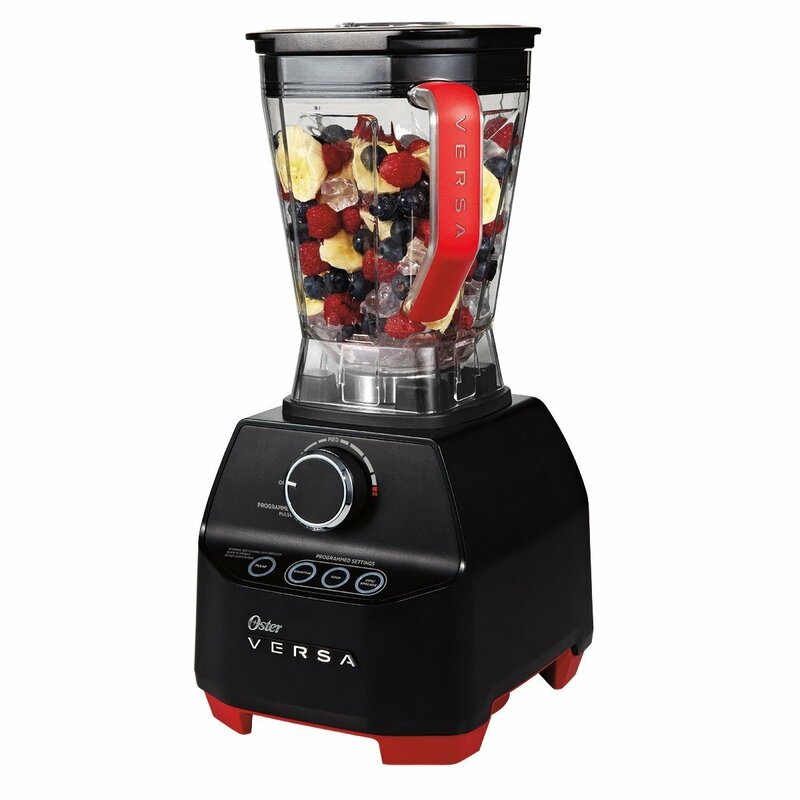 The blender’s blades are made of stainless steel, and the model has a 7-year warranty. 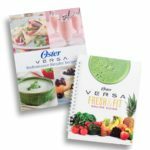 The blender is coming with 2 recipe books for your inspiration. 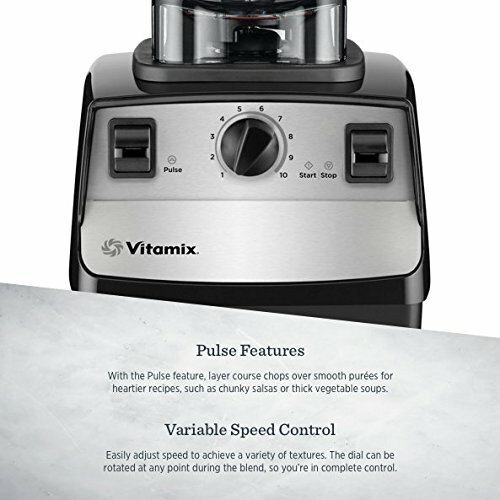 I have the Vitamix model which I use for quite a while, and I prepare lots of recipes and desserts. I have never had any issues with this blender. I saw the other two models in action but never used them. Ready To Buy Your Blender? You have all the necessary info to buy your blender. Remember or note the important features on a piece of paper or an electronic note. Are you using a bender? If not, which model will you choose? I would be more than happy to hear your thoughts, leave them in the comments section below. That was a great article on how to choose the right blender – thanks! I really appreciated the thorughness of your research and all your facts and figures. Plus it was good to see you recommend some actual blenders, too. I am a 50+ year old male, living on his own. My diet is mainly protein and vegetables…I avoid carbohydrates as much as I can and have found that really helps with initial weight loss and weight control. I was wondering if you could recommend a suitable blender and the best things to put in it? Thank you for your comment. It depends what you plan to use the blender for, I personally use it day by day for smoothies and other recipes. I have the Vitamix model, and I’m pleased with it. Blender is used commonly in every family now a days. But very few people knows the multiple functionality of blender. Sometime many of them are confused about which blender should they use for what purpose. Thanks for sharing the informative and knowledgeable data about blender functionality. I believe one can easily find a blender of his own choice from this post. Hi and thank you for your comment. I’m glad you find it useful. 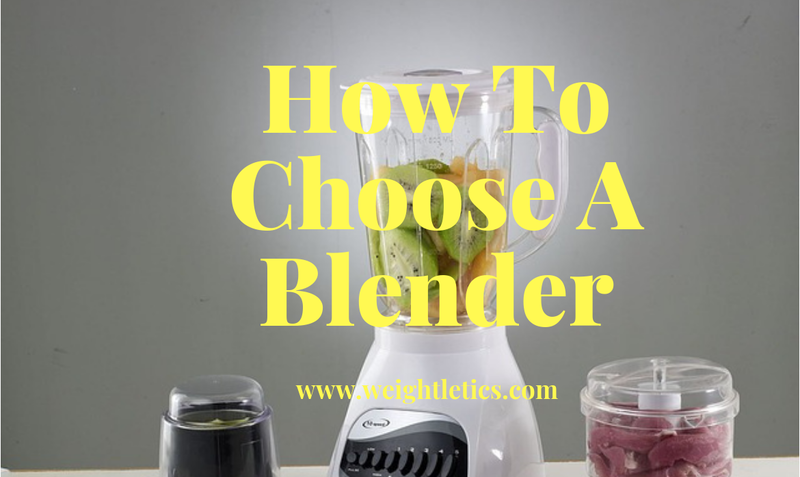 Choosing a blender for the first time is confusing and hard to decide, but depends on your expectations and planned usage. Blenders, what would we do without a blender, The only problem is, what is the best blender? I think you covered that well. 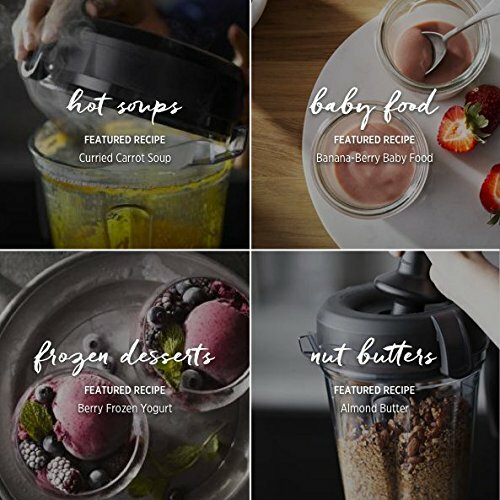 I knew that you could do a few things wit a blender but I did not know you could so much more and what to look for when buying your next blender. The length of the cord. Who would think that would be important? I thought they all had about the same length. Now instead of me buying a blender I now know what to look for in buying a blender. Your blender looks like it had a lot of thought that went into making it. It solves many problems of most other blenders. I would share this website with others. Thank you for your comment, and I’m glad you find the article useful. Yes, aspects like the length of the cord, few people think. I remember when I bought my first blender, I didn’t even think of this feature and I end up having lots of cables in the kitchen for me to use the blender properly. I am so glad i bumped into your article. I am in a need of a good blender. I want to eat healthy food and mush it all up together. If i can loose some weight that is awesome too. I never used blenders before to be honest with you. Never had the need. I appreciate the way you displayed most important features. For me, I would need the blender that would save all the pulp because this is where all the healthy ingridients come from. I saw a juicer/blender called Nutri Bullet on TV. Do you think it is better than the ones you listed on here? Thank you for your comment, and I’m glad you find the article useful. I do hope that it will be easy for you now to make a decision. I heard about Nutribullet, and it’s a good choice for one person, and of course money wise, it’s cheaper compared with other blenders. But when you decide on buying a Nutribullet or other blender, compare the same products characteristics. I use a normal Vitamix as I eat a plant-based diet and prepare different kinds of recipes. Thanks for the in-depth course on how to choose a blender. You might laugh now, but we really don’t have one at the moment. Our last one is broken, some flooding had it rost and we threw it away. I hope you will buy a new blender and be careful with the flooding. 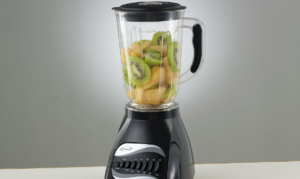 Thank you for sharing with us this great post on how to choose a blender for our home.Most of the time when i go to buy electronic material ,I do not have any idea on which criteria i have to check before choosing it.It was the case when I bought a blender in exposition which took place near my house but I have used it during one month only. After reading this post I know now what i have to consider before buying a blender. Thank you for your comment, Julienne. I’m glad you find it useful. I know it’s a hard decision when it’s about electronics and the shop representative will promote something which you are not sure you need. I do hope that you have all the necessary information to make a wise purchase.